Tradebit merchants are proud to offer auto service repair manuals for your Land Rover Defender - download your manual now! Land Rover has been in the auto industry for over 60 years, building such cars as the horsepower, 2009 Land Rover LR3 S and the 2008 Freelander 3.2 i6 SE Automatic. Land Rover automobiles are much easier to maintain with you have a Defender repair manual. If you are looking for Land Rover manuals, we should be able to help. Land Rover 1993-2002 Defender, 1995-2004 Range Rover Workshop Repair & Service Manual #❶ Quality! - 486 Mb Pdf! 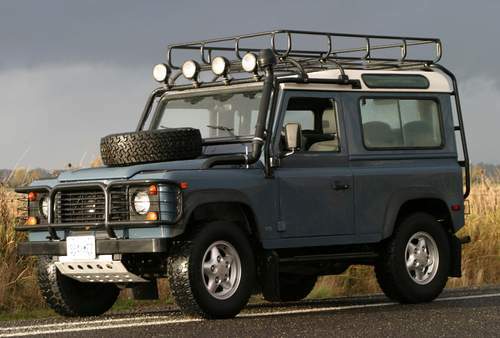 ► ► BEST ◄ ◄ 1996 - 2003 LAND ROVER DEFENDER SERVICE MANUAL - EXHAUSTIVE - COMPLETE SERVICE / REPAIR / Workshop Manual - PDF DOWNLOAD - 97 1998 1999 2000 2001 2002 03 !! Land Rover 2007-2009 Defender Workshop Repair & Service Manual #❶ Quality!